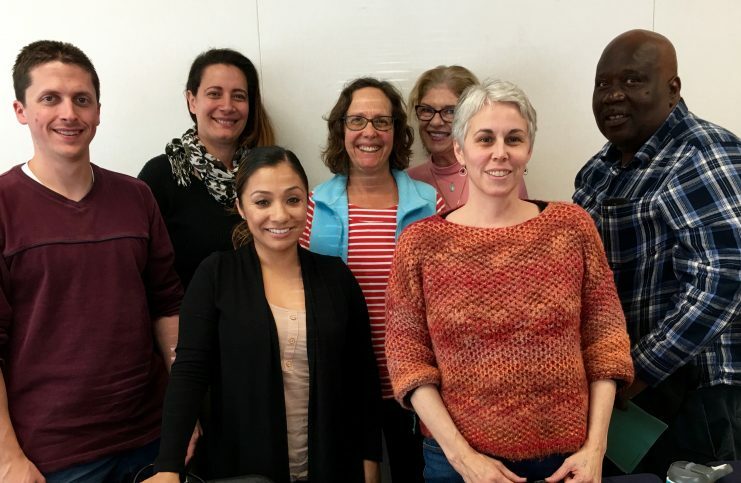 In the Berkeley Unified Early Childhood Education Department, Mills Teacher Scholars supports teachers to lead their colleagues professional growth within the professional learning community (PLC) structure. Mills Teacher Scholars facilitator Claire Bove partners with Kim Robinson, Joni Miller, Deborah Thies, Diana Dorsey, Dale Long, Mike McLaughlin, and Inji El Ghannam in understanding how to lead monthly PLC sessions at each of their early childhood education centers. The teacher leaders facilitate an inquiry process in which small groups of trusted colleagues build collective understanding of how students’ successes can be the basis for further learning. The teacher leaders’ effort to create the conditions for their colleagues to learn highlights both the successes and challenges of inquiry-driven teacher leadership. One challenge facing the teacher leaders at the outset of the year was their need to become comfortable facilitating learning for a group of their peers. Each site group operated according to unique norms with varied expectations for the structure of their meetings. While the teacher leaders were experienced, highly qualified educators, they did not yet feel confident suggesting to their colleagues that they adopt new meeting structures and norms. Responding to this discomfort, Claire, as the Mills Teacher Scholars facilitator, offered the teacher leaders opportunities to experience for themselves the protocols and other structured components of inquiry that they would take back to their sites. She modeled language for explaining the purpose of each component and gave the leaders opportunities to practice how they would introduce the inquiry work . Together they reflected on how to gradually help colleagues adapt to new structures that would yield equitable sharing as well as surface questions about students’ learning. A second challenge teacher leaders faced was the difficulty of supporting colleagues to keep their inquiry in focus between monthly meetings. For all teachers, planning, preparing educational experiences, teaching, cleaning up afterwards, and complying with mandates and requirements leave little time in their day for reflection, much less time to engage in collaborative inquiry. 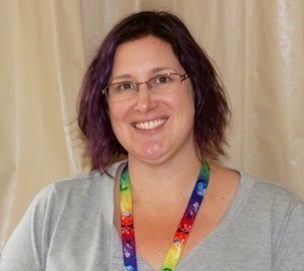 As Isabelle McDaniel, co-principal of the Berkeley Unified Early Childhood Education Program, had herself participated in Mills Teacher Scholars, she understood the value of regularly reflecting on one’s inquiry learning and believed that engaging in this structured reflection– even for just a few minutes at a time– would support improved learning opportunities for their students. Investing in knowledge management is a key to the teachers maintaining their focus on their inquiry. The teacher leaders developed sustainable methods of communicating with their teams three times over the course of a month: 1) midway through the month, the teacher leaders hand back to their site colleagues copies of the reflections they wrote at the last meeting and the plans they chose to implement during the month; 2) Co-principal Maria Carriedo sends an email to all the teachers a week before each meeting to remind them to bring their observations of their focal students; 3) teachers make notes to themselves, in a simple chart form, about the interventions and behaviors they plan to track and keep these on their classroom walls as an easy way to document their focal students’ progress. These small important efforts serve to keep the teachers’ self-defined improvement goals in focus. At a little more than midway through the school year, teacher leaders are experiencing a sense of confidence, competence, and preparedness in leading their colleagues. Nicole's inquiry into preschool students' learning in her special needs classroom helped her team balance IEP data collection with children's developmental need for play.